WE ARE HOPING TO RELOCATE SOON. IF YOU ARE WANTING TO DONATE/PURCHASE PAINT CONTACT US VIA EMAIL OR TELEPHONE. Our Community RePaint project collects reusable, surplus paint and re-distributes it for a small charge to individuals, families, communities and charities in need, improving the wellbeing of people and the appearance of places across the city. Our project also provides work experience and constructive activities for long term unemployed/homeless in the city of Preston. We take donations of surplus paint from DIY retailers, painters and decorators, paint manufacturers and members of the public. 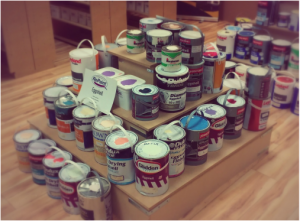 We can take any paint providing its non toxic, at least half full and in a reusable condition. 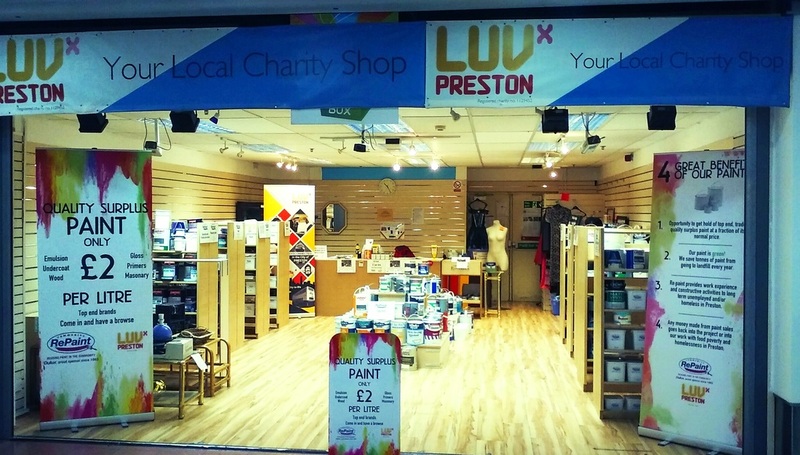 You can arrange to bring paint into our project at the Healthy Planet store or arrange for us to collect it from you by contacting us on 01772 298107 or contact@luvpreston.com. Our project is part of the national RePaint network see www.communityrepaint.org.uk for more info.